Plain front style shorts. Made out of fast drying Supplex® nylon, with a reinforced Cordura® seat patch for an optional foam pad. Gusset crotch, for full range of motion and loose fit. Roomy right side cargo pocket, with Velcro® closure flap, and an internal phone pocket. 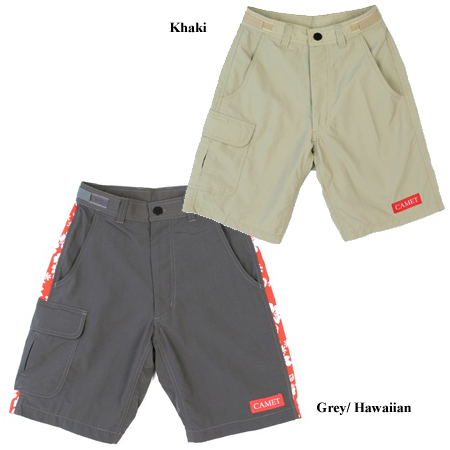 The shorts have two deep side pockets, as well as Velcro waist adjustment straps. A ¼ foam pad can be inserted into the seat patch for added comfort. The Supplex® Fabric has a UV rating of 40 and provides excellent skin protection by blocking 97.5% of UV rays. Sizes: Kids S 26", M 28", L 30"